I was meant to be doing some art work but that was quickly thrown out the window when I spied my new nail colour on my desk. It was looking all new and shiny and I couldn’t resist. (Birthday prezzie from mum, she has great taste!!) So instead of drawing lile I was meant too, I ended up having a wee gal session with my mum. Blue is by far my favourite colour and this is an amzing pastel like blue. And for once it’s not from Avon!!! 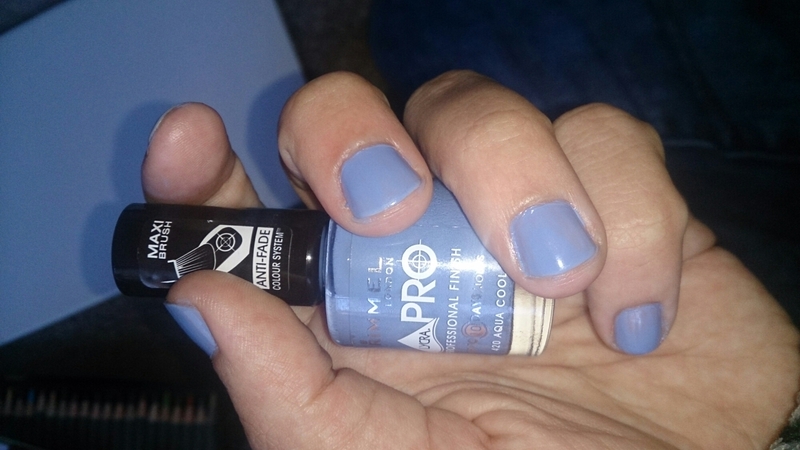 It’s from Rimmel London and called ‘Aqua Cool’ this will be getting worn very often. It is such a casual colour, nothing to fancy or glittery. (Even though I love glitter, its a nightmare to take off!) I think it’s prefect for the blend of season’s that has been happening.